Is Your Dental Practice Neglecting Your Patients And Their Best Interests? 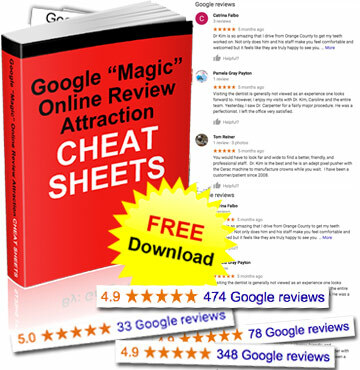 Enter your information below to receive a FREE download of our Google Patient Review Attraction Cheat Sheets. Thousands of Dentists Got AS Many As 50! FIVE STAR New Patient Google Reviews in LESS than 7 days…and You Can, Too! Are Dentists Bad Business People?